The structure of a metallic bond is quite different from covalent and ionic bonds. In a metallic bond, the valence electrons are delocalised, meaning that an atom's electrons do not stay around that one nucleus. 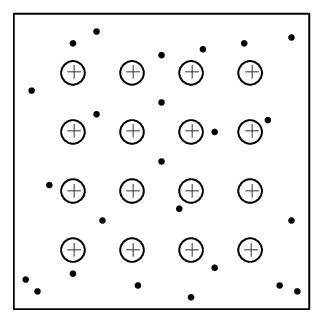 In a metallic bond, the positive atomic nuclei (sometimes called the “atomic kernels”) are surrounded by a sea of delocalised electrons which are attracted to the nuclei (see figure below). Metallic bonding is the electrostatic attraction between the positively charged atomic nuclei of metal atoms and the delocalised electrons in the metal. Metals conduct electricity because electrons are free to move. Metals conduct heat because the positive nuclei are packed closely together and can easily transfer the heat. Metals have a high melting point because the bonds are strong and a high density because of the tight packing of the nuclei. Using coloured balls (or jellytots) and sticks (or toothpicks) build models of each type of bonding. Think about how to represent each kind of bonding. For example, covalent bonding could be represented by simply connecting the balls with sticks to represent the molecules, while for ionic bonding you may wish to construct part of the crystal lattice. 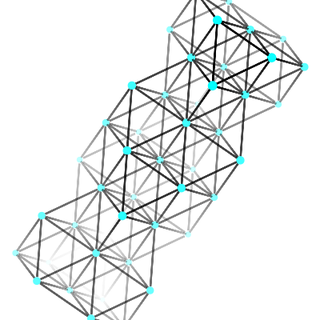 Do some research on types of crystal lattices (although the section on ionic bonding only showed the crystal lattice for sodium chloride, many other types of lattices exist) and try to build some of these. 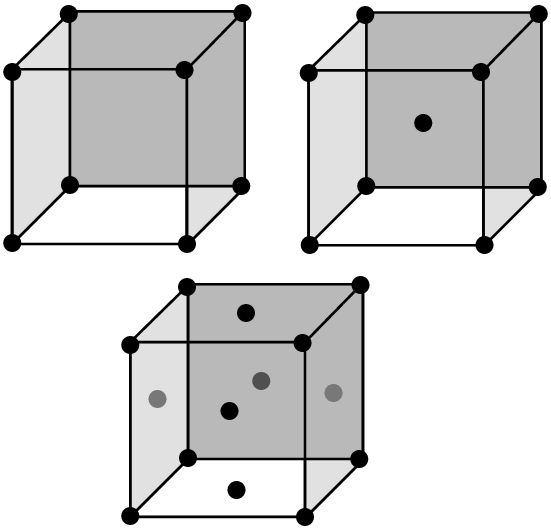 Share your findings with your class and compare notes to see what types of crystal lattices they found. How would you show metallic bonding? A sodium chloride crystal does not conduct electricity. Most jewellery items are made from metals. It is very hard to break a diamond. Pots are made from metals, but their handles are made from plastic. All Siyavula textbook content made available on this site is released under the terms of a Creative Commons Attribution License. Embedded videos, simulations and presentations from external sources are not necessarily covered by this license.